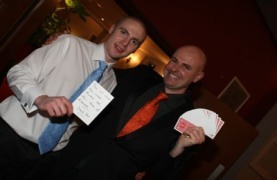 Contact David Fox today to arrange a first class entertainment package for your party in the Daventry area. His party package of close-up magic, parlour show and balloon modelling has become a big hit in the Northamptonshire area. Regardless of guest numbers, audience profile or age grouping, David Fox will make sure that everyone is talking about your celebrations in Daventry for a long time to come. At the Mercure Daventry Court Hotel, David was delighted to amaze guests during the drinks reception of a fiftieth birthday gathering. 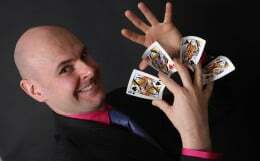 His formidable repertoire of close-up 'mix-and-mingle' magic will always leave them speechless! 1. You will receive an excellent entertainment package for a very good rate. 2. David's magic is unique, slick and contemporary. 3. Customised effects can be created to suit the occasion. Just tell David what you want, and he will magically deliver. 4. Having carefully planned an appropriate package for your party, everyone will be profoundly amazed by David's immaculate performance. 5. 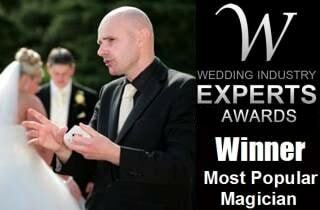 With a wealth of experience at the top level, you will be hiring one of the most exceptional magicians currently performing in the UK.